No. 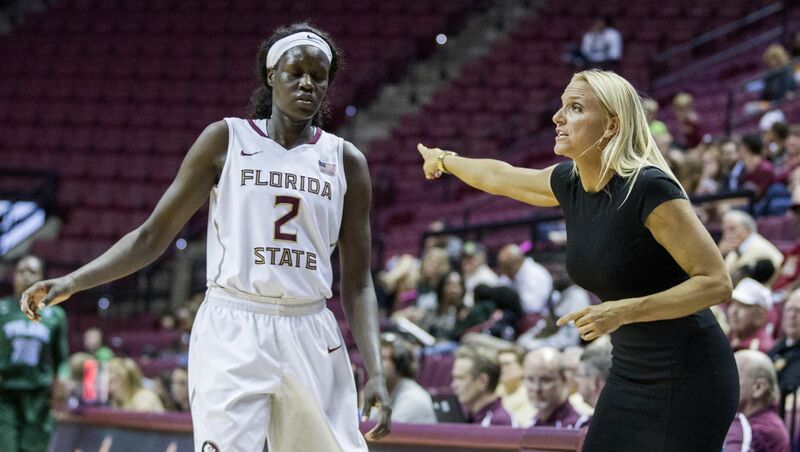 16 Florida State coasts to 85-40 win over Clemson - Women's College Basketball - Are You Watching This?! CLEMSON, S.C. (AP) Ivey Slaughter and Adut Bulgak scored 18 points apiece to lead No. 16 Florida State to an 85-40 over Clemson. Emiah Bingley added 13 points and Leticia Romero 12 for the Seminoles (13-4, 3-1 ACC), who shot 51 percent (27 of 53), with six 3-pointers, and went 25 of 29 from the foul line. Clemson (4-12, 0-3), which shot 38 percent (17 of 45) and was 6 of 11 from the foul line, was led by Nelly Perry with 14 points. Bulgak and Kai James had nine rebounds apiece as the Seminoles had a 40-20 advantage on the boards. They also turned 27 Clemson turnovers into 36 points. Florida State led 25-13 after one quarter and 47-29 at the half with Bulgak scoring 16 points. In the third quarter the Seminoles made 10 of 16 shots and held the Tigers to 2 of 12 to push the lead to 70-35.